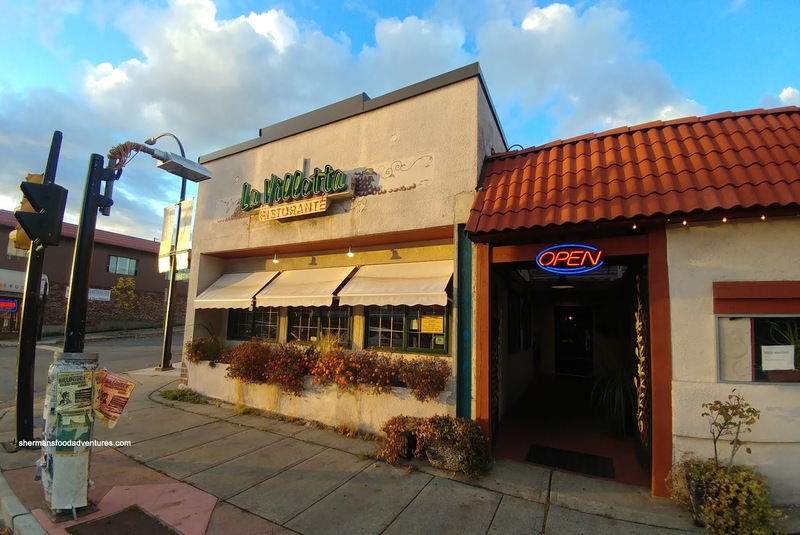 Alas, I finally made it out to La Villetta on Hastings in North Burnaby. Having lived in the neighbourhood for the last 13 years, I've been meaning to give it a try. However, I get distracted by shinier and sexier new restaurants (generally located away from North Burnaby). But with my daughter asking for Italian cuisine for her birthday dinner, I thought it was a good opportunity. In actuality, she wanted Korean BBQ, but we had that scheduled for the following night (for my brother-in-laws birthday dinner). I digress. We ended up going early on a Friday night where we were greeted to classic decor and warm service. We shared 2 salads to start with a Caesar and a Caprese. Although the Caesar was aggressively dressed, it rode the fine line and didn't go over it. 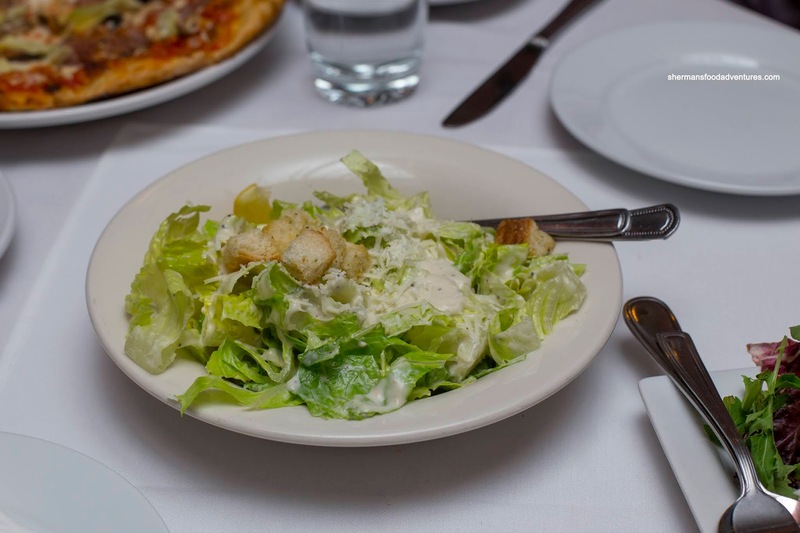 Therefore, the salad was creamy, cheesy and salty, but just enough. Featuring the inner most part of the romaine heart, the salad ate extra crunchy and crisp. I rather enjoyed that since I'm not a fan of the more leafier greens. 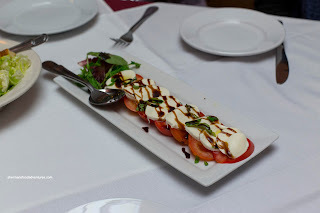 As for the Caprese, it was pretty straightforward with slices of fresh mozzarella atop slices of ripe sweet tomatoes. It was finished with a drizzle of balsamic reduction. My only complaint was the minuscule amount of chopped up basil. 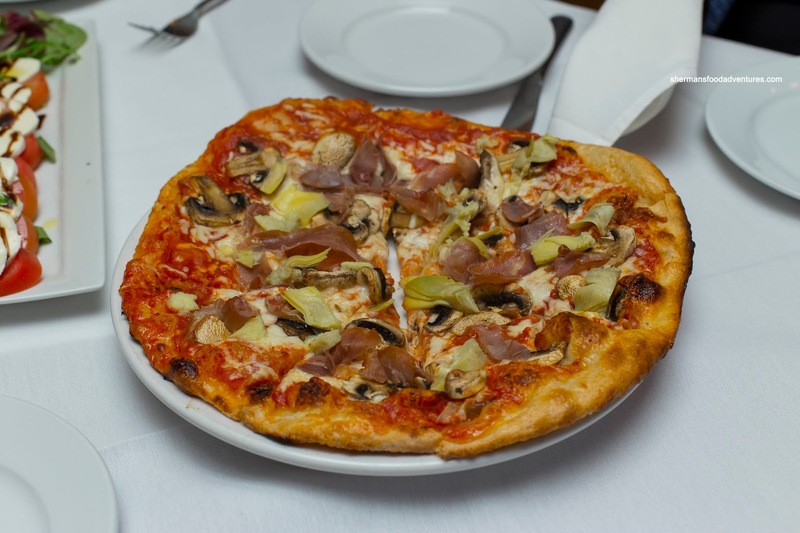 We also decided on a pizza to share as well being the Capicciosa featuring artichoke hearts, mushrooms and capocollo. Although not particularly charred, the crust was still nutty and crispy. It was thin enough that the crust didn't feel heavy, but robust enough that it didn't wilt under the ample toppings. There was so much capocollo that it was at the forefront with a lightly spicy saltiness. 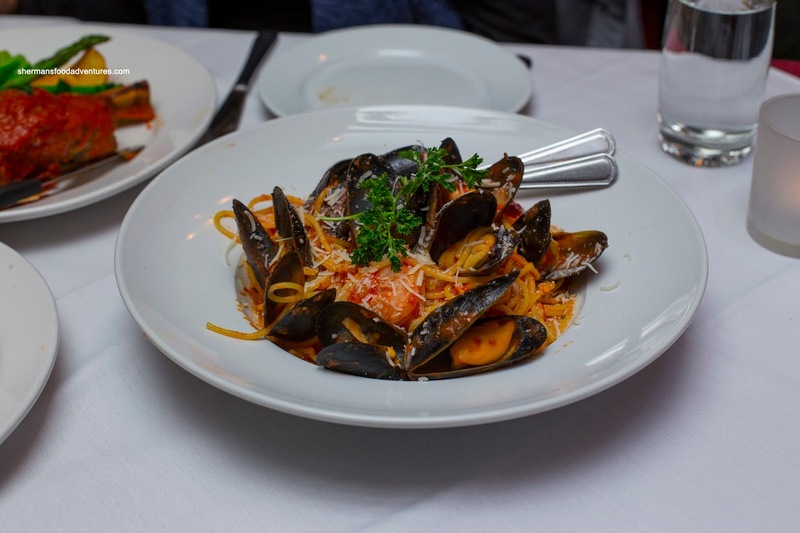 For our first pasta of the meal, we tried the daily feature being the Spaghetti with mussels and prawns. 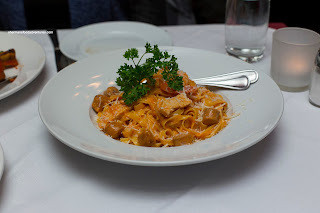 This featured firmly al dente pasta coated with an arrabiata-like sauce that was tomatoey and slightly spicy. There was ample brininess from the buttery mussels. 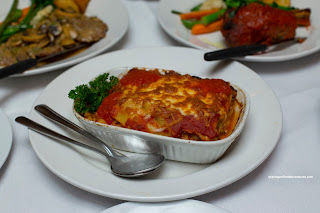 The kiddies wanted the Baked Lasagna and it turned out to be pretty tasty. It was plenty cheesey with a thick layer of melted mozzarella on top. It was well seared from the baking and created a nutty crust. The sheets of pasta were tender while still retaining some texture (as in not being too soft) while the tomato sauce was rich and flavourful. I would've liked to see a bit more meat in between the layers though. Our last pasta was the Fettucine Creola featuring Italian sausage, chicken and shrimp in a rose sauce. 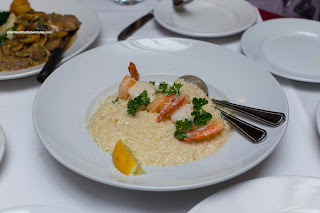 The pasta here was a little softer, but still al dente. I found the sauce to be more on the creamier side, where there was just enough of it. The chicken was a little dry while the sausage was meaty. 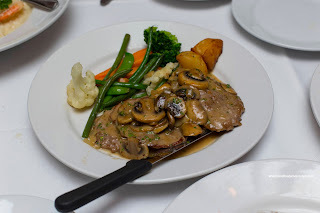 For our 2 meat dishes, we had the Lamb Osso Buco and the Scallopine al Marsala. 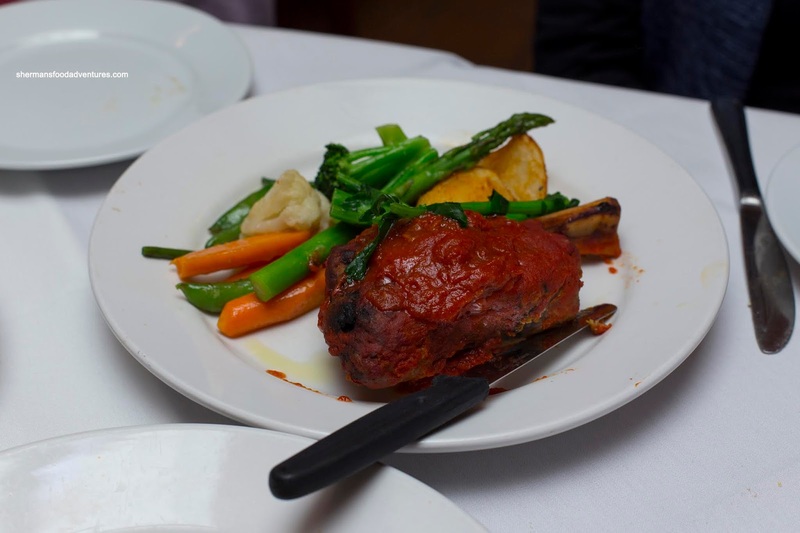 The fairly large lamb shank was beautifully tender and gelatinous. However, I found it rather bland by itself. I'm thinking that the braising liquid should've been more aggressively seasoned. Although it was coated in a tomato sauce, it wasn't that impactful and rather one note. On the other hand, the veal was super-impactful from the buttery sauce that was a touch on the saltier side. The veal was tender and meaty while the mushrooms were buttery, yet soaked up all the salt from the sauce. The various veggies on the plate were perfect though being vibrant and cooked just enough.